This Investors’ Handbook provides an overview of our operations around the world, including those that we added to our portfolio through our acquisition of BG Group plc (BG). It includes financial and operational data showing how Shell has performed over the last five years and outlines our plans for the future following the acquisition. In summary, we see important opportunities for Shell and our investors from our portfolio, and the substantial and lasting changes underway in the energy sector. Today, our industry is operating in a lower oil price environment than in the recent past. As well as low oil prices today, we are seeing higher levels of price volatility, due to geopolitical changes, accelerating flows of information, and rapid innovation in our sector. Nevertheless, we expect to see robust demand for oil and gas for decades to come, and longer term opportunities in new energies, as the global energy system goes through a long-term transition to lower-carbon technologies. By capping our capital spending in the period to 2020, investing in compelling projects, driving down costs and selling non-core positions, we can reshape Shell into a more focused and more resilient company, with better returns and growing free cash flow per share. All of this is underpinned by an unrelenting focus on safe and environmentally-responsible operational performance, high quality and commercial project execution and prudent financial management of the company. The BG deal, which we completed earlier this year, is an opportunity to accelerate the re-shaping of Shell. Integration between the two companies is gathering pace. Today, we expect to deliver more synergies than we thought we could at the outset, and at a faster rate. 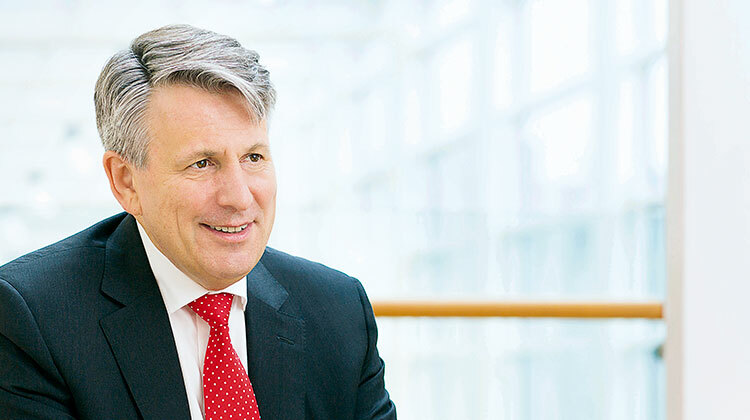 Overall, Shell’s focus is on re-shaping the company. We will retain the most competitive and resilient positions, through targeted investment and substantial asset sales. With our continued strong focus on returns and growth in free cash flow per share, I want to create a world-class investment case for Shell shareholders. Our strategy should lead to a simpler company, with fundamentally advantaged positions, and fundamentally lower capital intensity. To put it simply, we are setting out a transformation of Shell.